Our Los Angeles aerial photographer captured the Westwood and Wilshire Corridor area in this aerial view all the way up to the border with Beverly Hills and the golf course along Wilshire Blvd. Download this high resolution Los Angeles aerial stock photo now! 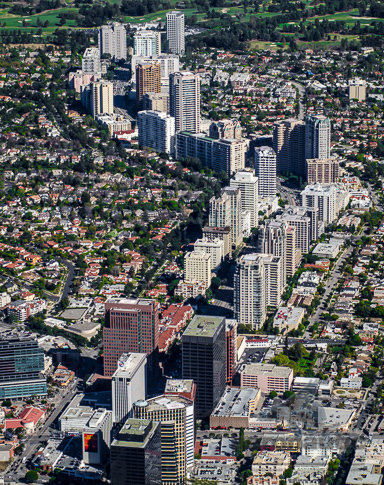 It is rare to see an aerial view Wilshire Corridor Westwood stock photo photographed on such a crystal clear day. Los Angeles aerial stock photo of Westwood in West Los Angeles known as the Wilshire Corridor. This Aerial photography Los Angeles view captures the cluster of office buildings, skyscrapers, condominiums, townhouses and even a sprinkling of single family homes in this community adjacent to UCLA and Beverly Hills.